In this brief article I’m going to explain how you can downgrade your version of the Divi theme to a lower one. And the process of doing it is really simple. 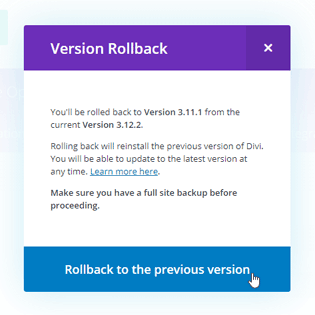 This feature is called Divi Rollback and it was released on June 7, 2018 with the Divi version 3.6. So this means that if you are using an older version of Divi than 3.6, this won’t be possible for you. Anyway, you can still get the newest fresh version of Divi. You may wonder why you should downgrade your Divi version, don’t you? Everyone says that you should keep all your WordPress plugins and themes updated to their latest versions. Yes, that is true. However, sometimes you may run into problems after updating a WP plugin or the Divi theme. Something may go wrong and your website or blog won’t be fully functional. And here comes the Divi Rollback fix. 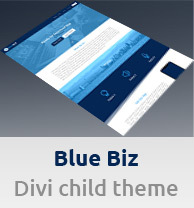 If the newest version of Divi causes any problems, just downgrade to its previous version. Now I will explain how you can do it. Simply go to Divi Theme Options > Updates and click on the Rollback to the Previous Version button. Then click on the blue button and that’s it. That’s all that you need to do. It is also a good practice to make a backup of your whole website before using the Rollback feature. That’s all from me for today. I hope this quick tip will be helpful for you. 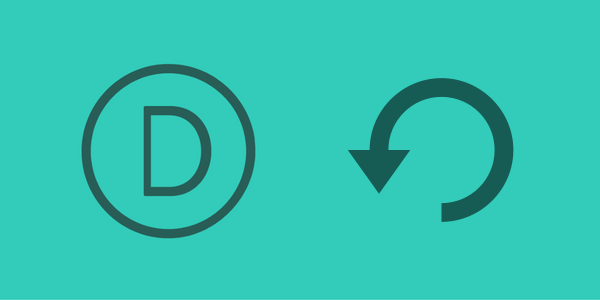 Note: If you are looking to upgrade your Divi version, you can check my other article on how to do it.